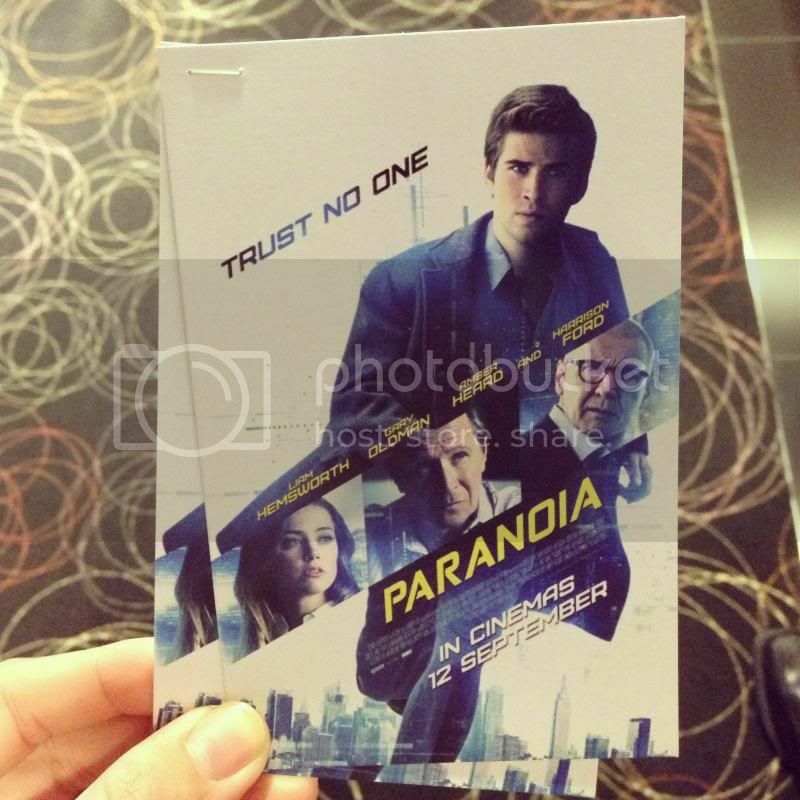 Adam Cassidy (Liam Hemsworth) is a low-level inventor for a corporation run by Nicholas Wyatt (Gary Oldman). After being fired for insubordination, Adam uses the company's credit card to pay for bottle service for his friends at a club. Adam is later confronted by Wyatt's enforcer, Miles Meechum (Julian McMahon), who blackmails Adam into becoming a corporate spy for Wyatt by threatening to have him arrested for fraud. Adam is trained by Judith Bolton (Embeth Davidtz) and infiltrates a company run by Wyatt's former mentor, Jock Goddard (Harrison Ford), who stole several of Wyatt's ideas, by providing Goddard with an advanced software able to hack into cellphones, with potential military applications. FBI Agent Gamble (Josh Holloway) interrogates Adam, revealing that three other employees of Wyatt who transferred to Goddard's company were found dead, but Adam ignores him. Adam finds out Emma Jennings (Amber Heard), a woman he met during the party, is the Director of Marketing of Goddard's company and seduces her in order to steal files about Goddard's upcoming projects and give them to Wyatt, who threatens to kill Adam's father, Frank Cassidy (Richard Dreyfuss), if Adam doesn't steal a revolutionary prototype cellphone developed by Goddard. Adam steals Emma's fingerprints and uses them to gain access to the company's vault, where he is confronted by Goddard, who intends to use evidence he has acquired that Adam was spying for Wyatt to take over Wyatt's company. Emma finds out Adam used her and breaks up with him. Adam then recruits Kevin to help him. After revealing that Bolton was spying on Wyatt for Goddard, Adam sets up a meeting with Wyatt and Goddard, where both reveal the crimes they have committed to sabotage each other's companies. Adam reveals he used the software to transmit their conversation to Kevin's computer, who provides the recordings to the FBI. Goddard, Wyatt, Bolton and Meechum are arrested by Gamble, while Adam is released for contributing with the FBI's investigation. He then reconciles with Emma and Frank and opens a small electronics store in Brooklyn with his friends. The plot was okay. I can learn on how the mobile companies are competing with each other in order to survive. In this world, one has to be more creative than the others in order to make their technologies more unique than the rest and manage to convince the consumers. I also realised from the movie that we should be alert and cautious towards each other even though the person is your personal assistant/closest people. I somehow love the plot and the rate of the movie is 4/5.